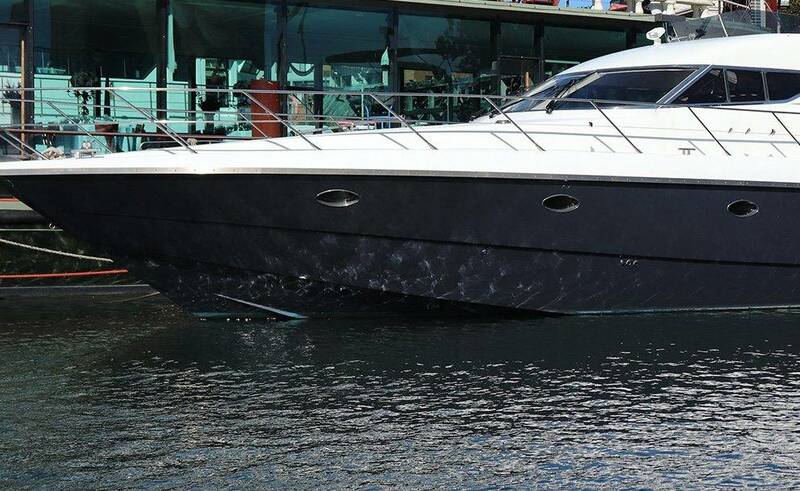 So, this gorgeous 62ft Predator luxury cruiser is a sleek and stylish choice for your party or event. One of the very few vessels exactly of her type on the harbour. She is sure to turn heads and provide a really memorable event for your lucky guests. 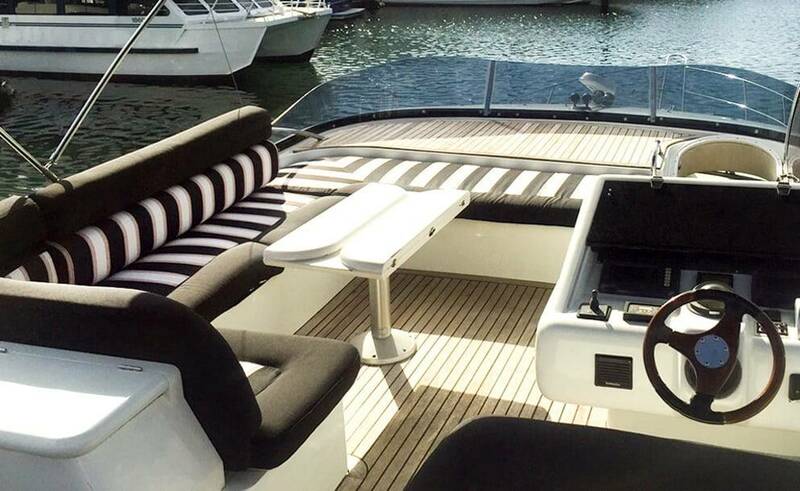 So, with her elegant proportions and glamorous teak and leather interior. 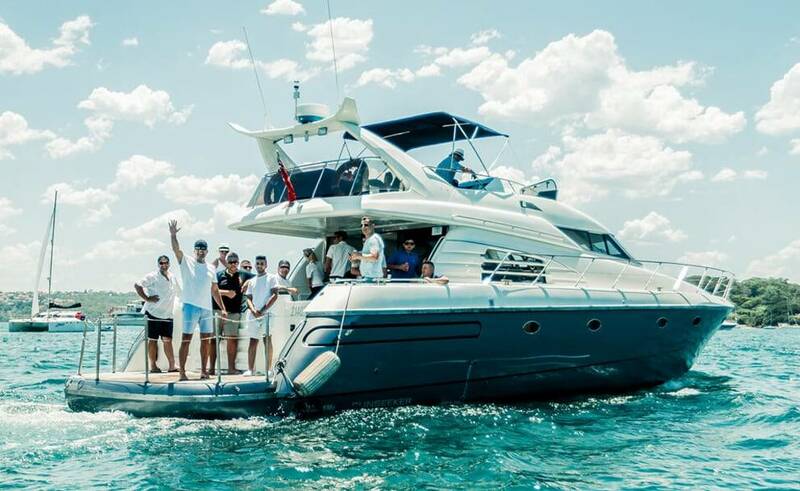 So, any event hosted on board Sunseeker is elevated from every day to a truly special and indulgent experience. Fully air-conditioned and with entertaining spaces arranged over three levels. She has the capacity for 30 guests. 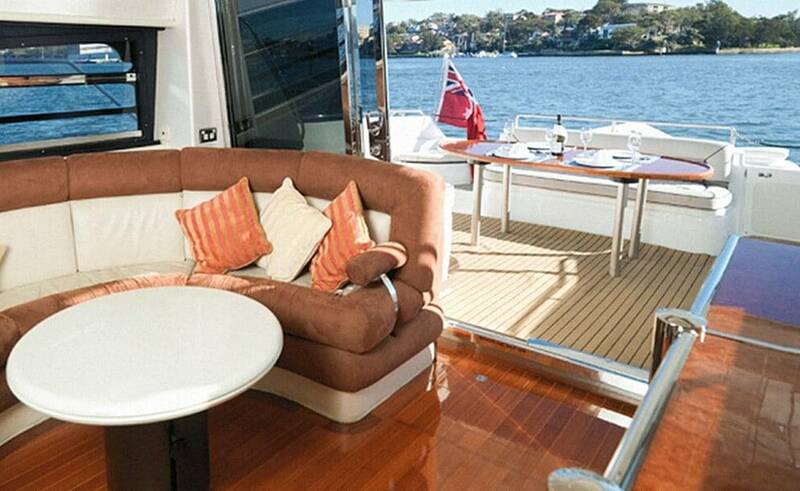 The spacious flybridge with its amazing views leads to the beautiful split level saloon. Also with its distinctive semi-circular dining areas. The lower level of this space is a great entertaining area. So with the flat screen television, DVD player, audiovisual equipment and bar. Sliding doors then lead on to the large aft cockpit, which can also be set up for dining. The bar is fully licensed and there are a number of delicious food and beverage catering options suitable for different events. 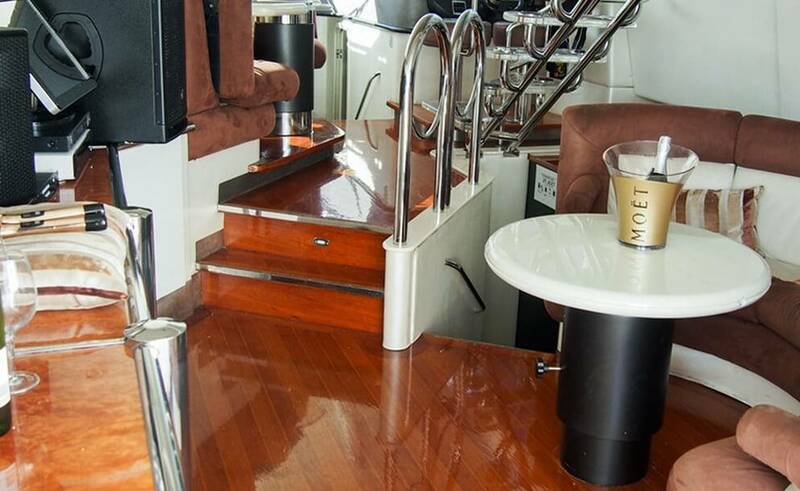 A fully equipped galley with a stove, oven, fridge and freezer. 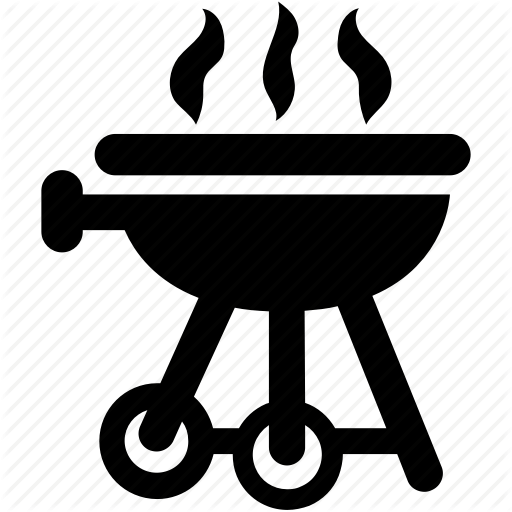 This means you can easily provide your own catering. Large eskies mean you need not venture too far for a drink. With her state of the art technology and audiovisual equipment. She is also ideal for Board meetings or corporate events. 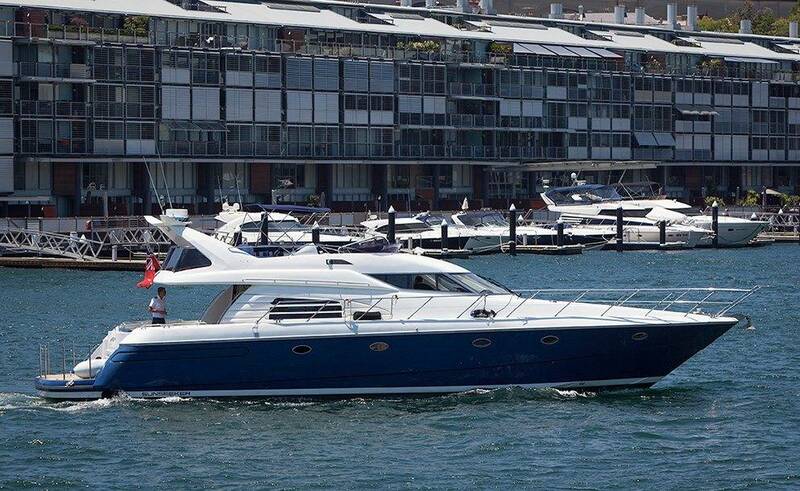 So, for a real treat, go for an overnight charter. Also, the main cabin has an ensuite bathroom so is completely private. The two additional cabins sleep up to four adults, with a shared shower. With a swim platform and an outdoor shower. You’re all set in to jump into the water for a swim if the urge strikes you! 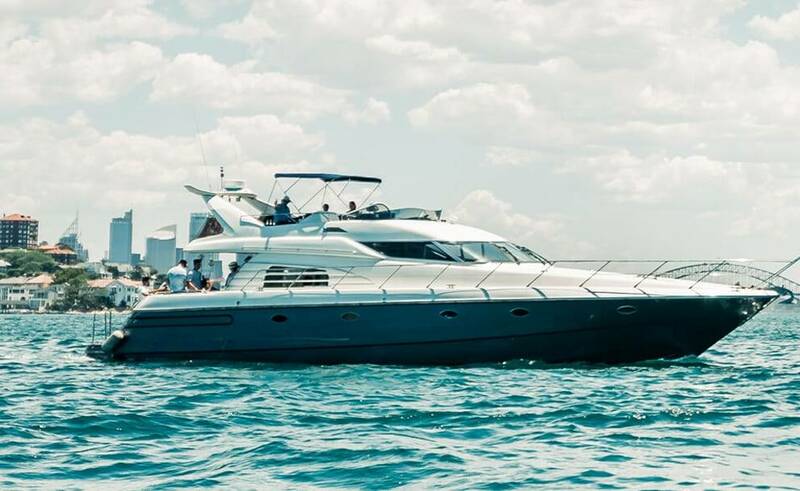 So, for an unforgettable party or weekend in fabulous luxury, look no further than Sunseeker.